It’s Monday, the kids are at school, the house is clean and I’m reflecting a bit on my FANTASTIC day on Saturday. Saturday is one of those days that will go down in my personal history as a favourite memory. 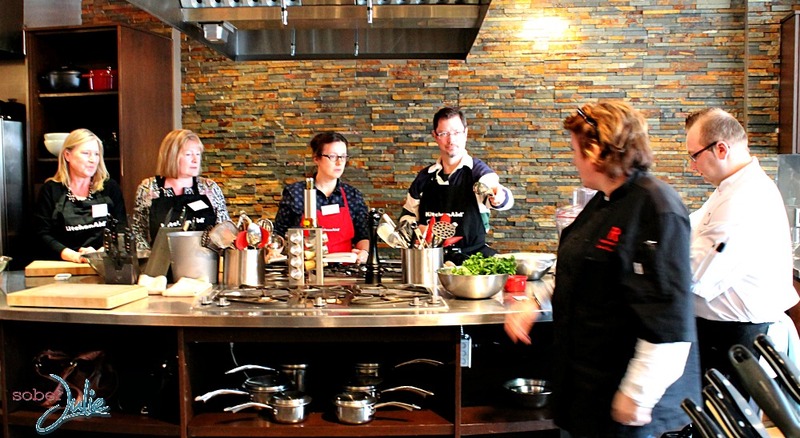 It all began a few weeks ago when I received an email from my friends at KitchenAid Canada asking if I’d like to join them for an intimate cooking lesson with Chef Lynn Crawford. Now there aren’t many times in my life when I’ve squealed like a school girl, but ya know I did over this one! 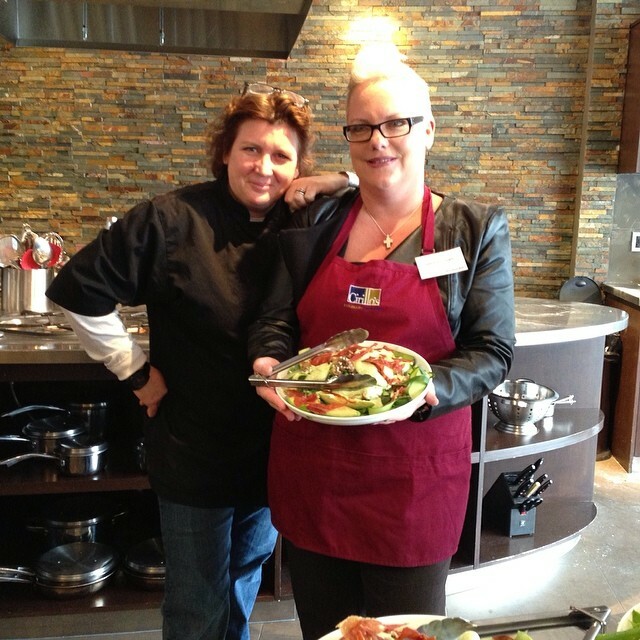 Last year I had the pleasure of spending time in the kitchen with Chef Lynn at the KitchenAid Canada Attached2KitchenAid event and I knew this would be a unique experience but to have Chef Lynn instructing us was a dream. Joining me at the event was my dear friend Val, who happens to be a culinary QUEEN in my eyes and I knew we’d have a BLAST together. I was asked to selected 3 secret ingredients which could challenge Chef Lynn, she was required to choose at least 1 of my choices and provide a recipe which I would then be preparing. 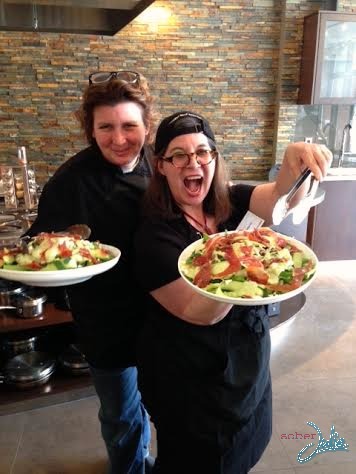 We arrived at Cirillo’s Culinary Academy in Toronto and the vibe was one of excitement. There was much laughter, some lovely beverages and levity engulfed the amazing room. Val and I were assigned the Salad station, we were joined by the fantastic Rita DeMontis and her guest and let me tell you I didn’t stop laughing from the moment I met this powerhouse of a woman. Rita is the National Food Editor for Sun Media and she knows her stuff and got us moving immediately. 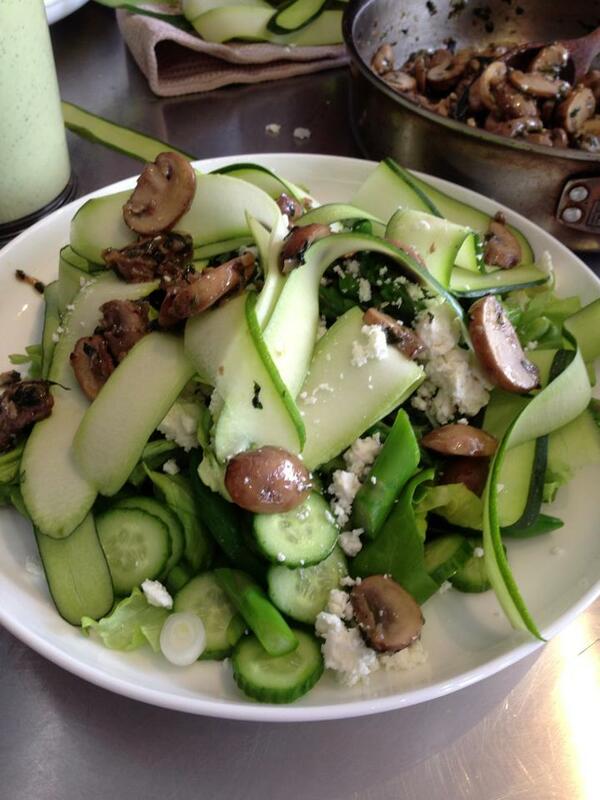 Together we made Chef Lynn’s Green Goddess Salad, topped with Rita’s secret KILLER mushrooms. 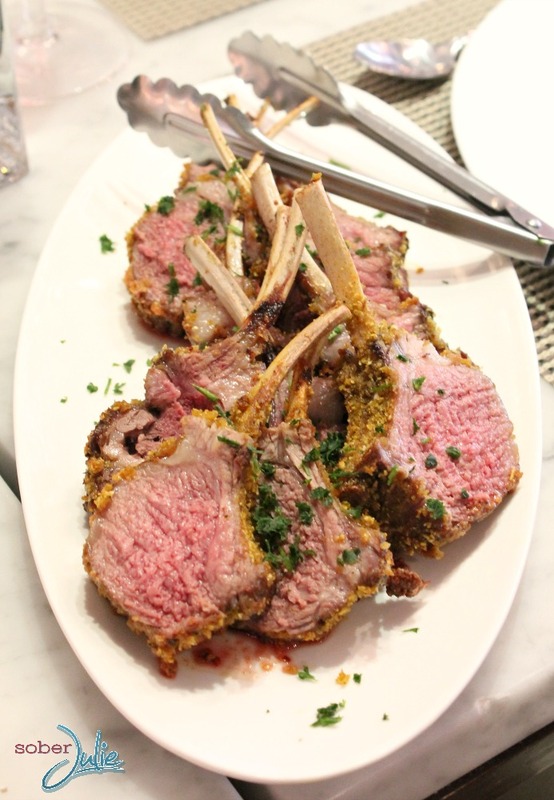 The recipe is from Chef Lynn’s book At Home with Chef Lynn Crawford and is honestly to DIE for. There were 4 stations in total, an appetizer station where friends made a delicious flat bread for us to enjoy. 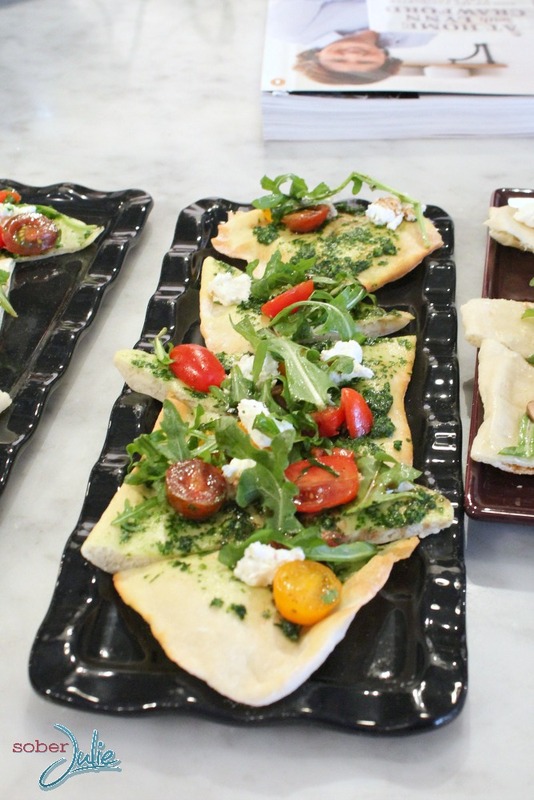 These flatbreads are in Chef Lynn’s book and are super fresh and utterly delicious! 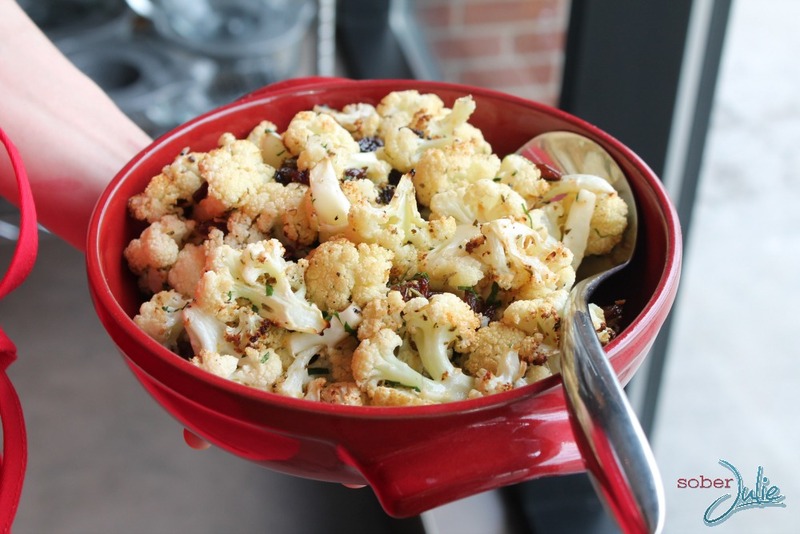 The main course was Chef Lynn’s Lamb recipe and roasted cauliflower; the action at that station was amazing! These guests worked so hard (amidst laughter) to present us with a GORGEOUS main course. The final station was the dessert station which unfortunately I neglected to snap photos of. In typical style I couldn’t wait to taste their delicious concoction and devoured it with out getting a shot. Once we all had made our offerings, we were invited to sit and enjoy the meal in a family style fashion. This is my favourite way of eating! We had the chance to try everyone’s dishes, chat and have some bonding time. 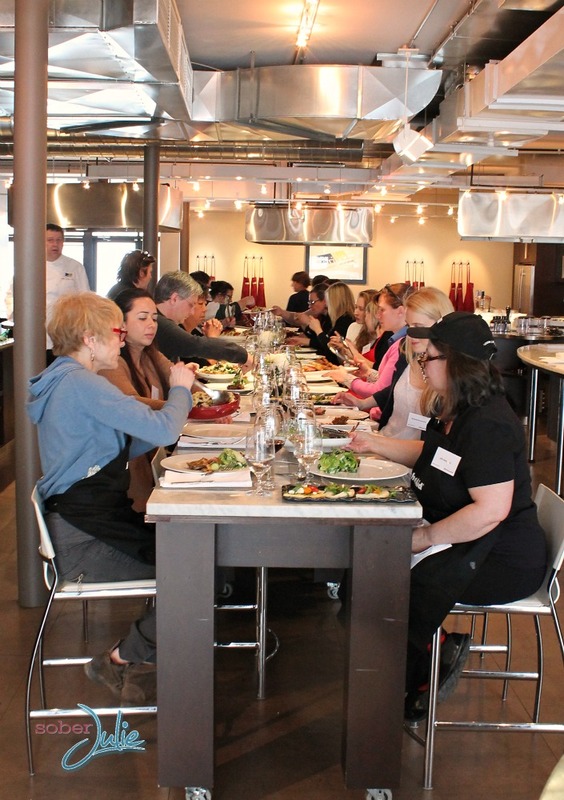 This was a wonderful day where we learned new recipes, some skills and had many laughs with everyone in the room. I look forward to sharing some of these tips and tricks with you all in future here on the blog! If you follow me on Twitter, Facebook or Instagram I apologize in advance because I MAY be sharing this photo of Chef Lynn Crawford and I over and over for some time…hey a girl can reminisce right? If you’d like to connect with KitchenAid Canada you can find them on their Facebook Fan Page or on Twitter @KitchenAid_CA where they interact regularly. Absolutely Fabulous! Two nights in a row, we are enjoying Greek Godess; obviously adding more various salad ingredients. Julie, wisely, poured left over Gorgeous Dressing into a seal tight container! Last night with Beef Dinner. Tonight Deluxe Toasted Western. So Happy that Julie had an Enjoyable Time and met folks that she admires. Julie has truly become a culinary artist, just like her Great Grandmother – Mollie Young. That looks like a lovely time. I met Chef Lynn once at Toe Taps and Taters in PEI, but it was a really big event with way too many people for it to be this cool. The food was superb though. 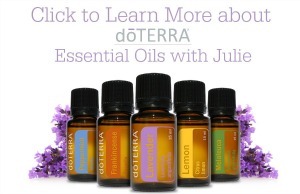 What a truly amazing day Julie! 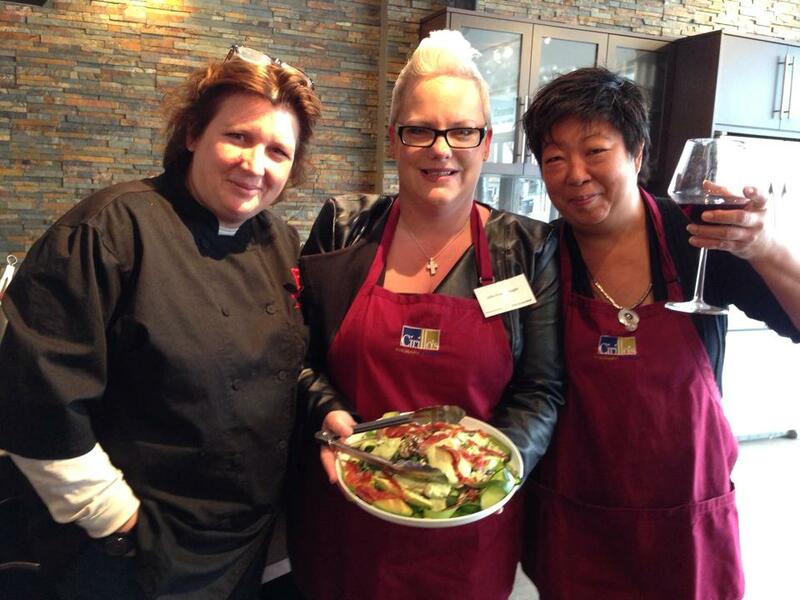 I love Chef Lynn and she is one of my favorite Canadian Chefs. 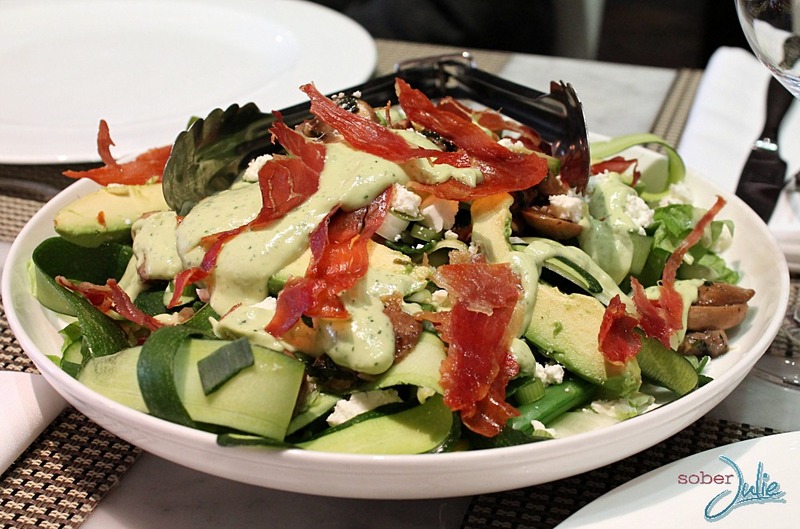 I have her latest cookbook and I think every recipe is amazing, but I haven’t tried the Green Goddess Salad yet, but you have inspired to make it for my family for dinner tonight! 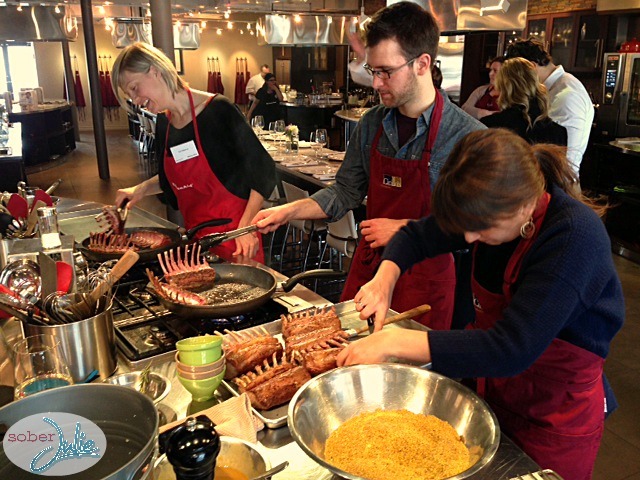 I loved reading about your fantastic day with the KitchenAid Kitchen and Chef Lynn. Being all the way in Edmonton, I can only dream about such a wonderful experience! I think it’s totally awesome that you were able to have a culinary cooking experience with chef Lynn Crawford. That is absolutely one of my dream experiences. I’ve had a cooking experience with Chef Ned Bell last year and it was one of my most memorable ever! Thanks for sharing!